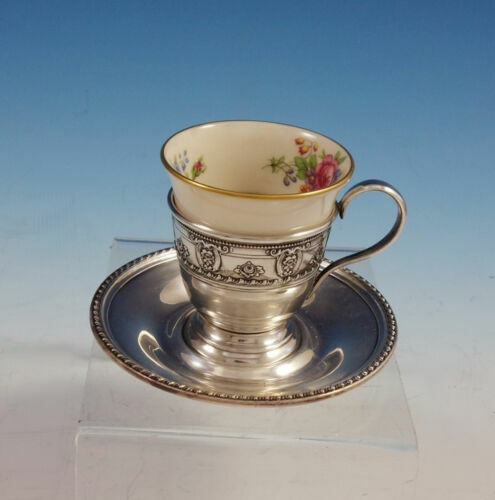 Buy: $245.0 Rose Point by Wallace Sterling Silver Fruit Bowl Ruffled 10 1/4" Beautiful! 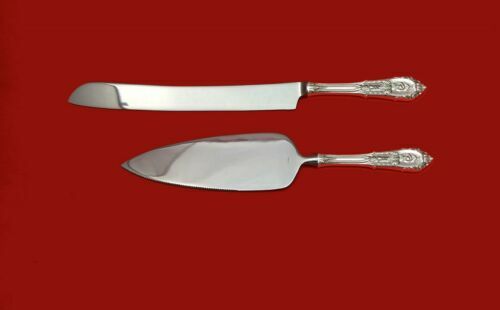 $89.0 Rose Point By Wallace Sterling Silver Place Soup Spoon 7 1/8"
$27.5 Wallace ROSE POINT Sterling Silver ICE TEA SPOON - No Monograms - 7-5/8"
Buy: $299.95 ROSE POINT - 6 STEAK KNIVES - STERLING HANDLES - WALLACE - NO MONO 8 7/8"
$329.0 Rose Point by Wallace Sterling Silver Steak Knife Set 4pc HHWS Custom 8 1/2"
$180.0 Wallace Grande Baroque 925 sterling silver 6 pc place setting. 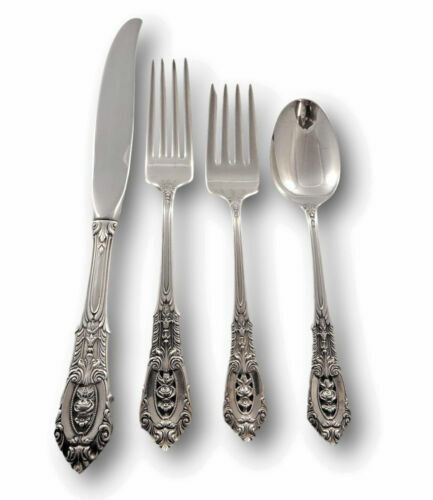 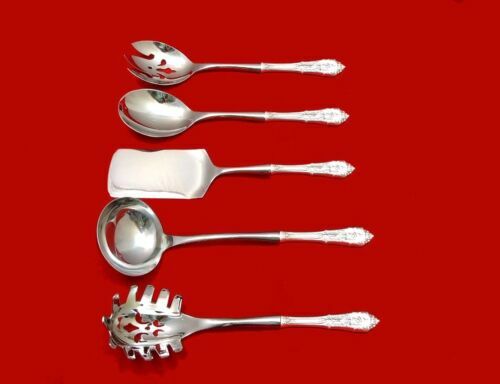 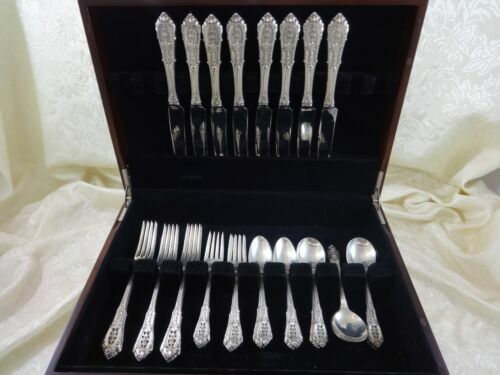 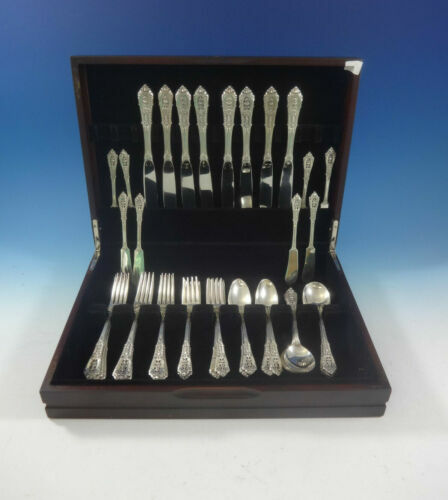 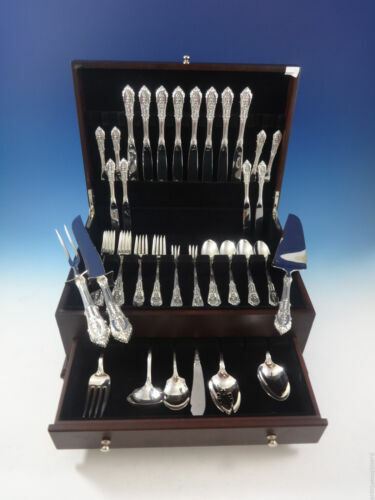 Buy: $175.99 7 Wallace Rose Point Sterling Silver Teaspoons 6"
$489.0 Rose Point by Wallace Sterling Silver Trout Knife Set 6pc. 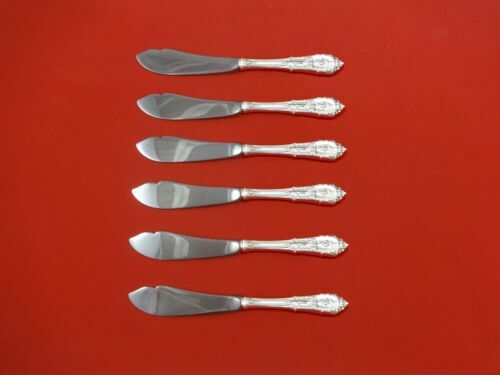 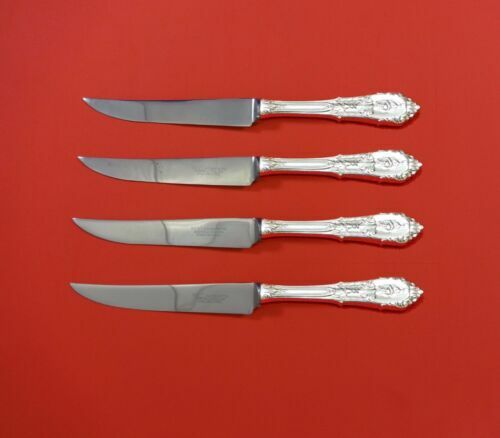 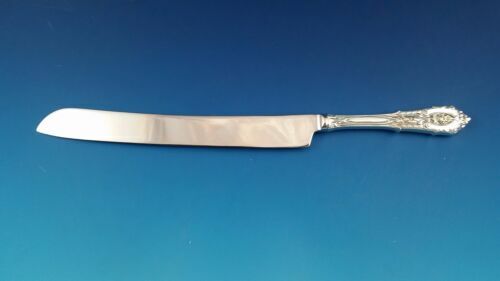 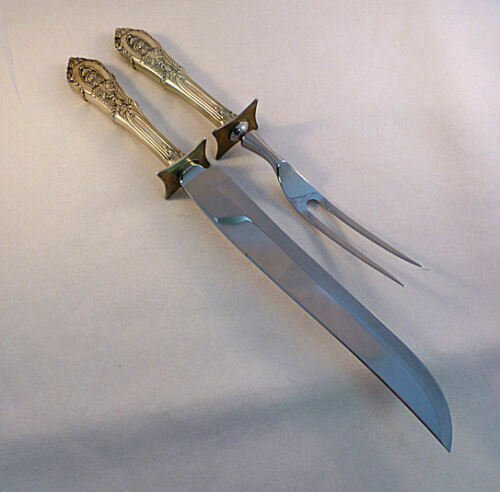 Custom Made 7 1/2"
$389.0 Rose Point by Wallace Sterling Silver Cracker Scoop 8 1/8"
$279.99 Rose Point-Wallace Sterling Group of 8 Dinner Knives-9 3/4"
$659.99 37 Piece Set Wallace Sterling Rose Point Pattern in Case with Brochure.